"Vaughan Williams" redirects here. For other uses, see Vaughan Williams (disambiguation). In September 1883 he went as a boarder to Field House preparatory school in Rottingdean on the south coast of England, forty miles from Wotton. He was generally happy there, although he was shocked to encounter for the first time social snobbery and political conservatism which were rife among his fellow pupils. From there he moved on to the public school Charterhouse in January 1887. His academic and sporting achievements there were satisfactory, and the school encouraged his musical development. In 1888 he organised a concert in the school hall, which included a performance of his G major Piano Trio (now lost) with the composer as violinist. During his time at Cambridge Vaughan Williams continued his weekly lessons with Parry, and studied composition with Charles Wood and organ with Alan Gray. He graduated as Bachelor of Music in 1894 and Bachelor of Arts the following year. After leaving the university he returned to complete his training at the RCM. 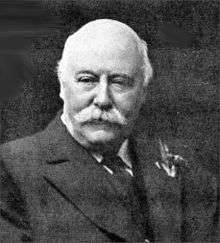 Parry had by then succeeded Sir George Grove as director of the college, and Vaughan Williams's new professor of composition was Charles Villiers Stanford. Relations between teacher and student were stormy. Stanford, who had been adventurous in his younger days, had grown deeply conservative; he clashed vigorously with his modern-minded pupil. Vaughan Williams had no wish to follow in the traditions of Stanford's idols, Brahms and Wagner, and he stood up to his teacher as few students dared to do. Beneath Stanford's bluster lay a recognition of Vaughan Williams's talent and a desire to help the young man correct his opaque orchestration and extreme predilection for modal music. In his second spell at the RCM (1895–96) Vaughan Williams got to know a fellow student, Gustav Holst, who became a lifelong friend. Stanford emphasised the need for his students to be self-critical, but Vaughan Williams and Holst became, and remained, one another's most valued critic; each would play his latest composition to the other while still working on it. Vaughan Williams later observed, "What one really learns from an Academy or College is not so much from one's official teachers as from one's fellow-students ... [we discussed] every subject under the sun from the lowest note of the double bassoon to the philosophy of Jude the Obscure". In 1949 he wrote of their relationship, "Holst declared that his music was influenced by that of his friend: the converse is certainly true." In 1903–04 Vaughan Williams started collecting folk-songs. He had always been interested in them, and now followed the example of a recent generation of enthusiasts such as Cecil Sharp and Lucy Broadwood in going into the English countryside noting down and transcribing songs traditionally sung in various locations. Collections of the songs were published, preserving many that could otherwise have vanished as oral traditions died out. Vaughan Williams incorporated some into his own compositions, and more generally was influenced by their prevailing modal forms. This, together with his love of Tudor and Stuart music, helped shape his compositional style for the rest of his career. Ravel took few pupils, and was known as a demanding taskmaster for those he agreed to teach. Vaughan Williams spent three months in Paris in the winter of 1907–08, working with him four or five times each week. There is little documentation of Vaughan Williams's time with Ravel; the musicologist Byron Adams advises caution in relying on Vaughan Williams's recollections in the Musical Autobiography written forty-three years after the event. The degree to which the French composer influenced the Englishman's style is debated. Ravel declared Vaughan Williams to be "my only pupil who does not write my music"; nevertheless, commentators including Kennedy, Adams, Hugh Ottaway and Alain Frogley find Vaughan Williams's instrumental textures lighter and sharper in the music written after his return from Paris, such as the String Quartet in G minor, On Wenlock Edge, the Overture to The Wasps and A Sea Symphony. Vaughan Williams himself said that Ravel had helped him escape from "the heavy contrapuntal Teutonic manner". In February 1953 Vaughan Williams and Ursula were married. 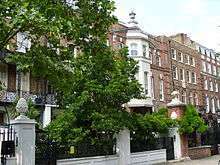 [n 10] He left the Dorking house and they took a lease of 10 Hanover Terrace, Regent's Park, London. It was the year of Queen Elizabeth's coronation; Vaughan Williams's contribution was an arrangement of the Old Hundredth psalm tune, and a new setting of "O taste and see" from Psalm 34, performed at the service in Westminster Abbey. 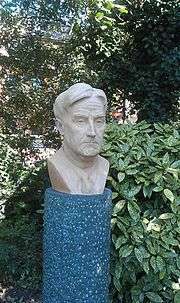 Of Vaughan Williams's works from the 1950s, Grove makes particular mention of Three Shakespeare Songs (1951) for unaccompanied chorus, the Christmas cantata Hodie (1953–4), the Violin Sonata, and, most particularly, the Ten Blake Songs (1957) for voice and oboe, "a masterpiece of economy and precision". Unfinished works from the decade were a cello concerto and a new opera, Thomas the Rhymer. The predominant works of the 1950s were his three last symphonies. The seventh—officially unnumbered, and titled Sinfonia antartica—divided opinion; the score is a reworking of music Vaughan Williams had written for the 1948 film Scott of the Antarctic, and some critics thought it not truly symphonic. The Eighth, though wistful in parts, is predominantly lighthearted in tone; it was received enthusiastically at its premiere in 1956, given by the Hallé Orchestra under the dedicatee, Sir John Barbirolli. The Ninth, premiered at a Royal Philharmonic Society concert conducted by Sir Malcolm Sargent in April 1958, puzzled critics with its sombre, questing tone, and did not immediately achieve the recognition it later gained. Having been in excellent health, Vaughan Williams died suddenly in the early hours of 26 August 1958 at Hanover Terrace. Two days later, after a private funeral at Golder's Green, he was cremated. On 19 September, at a crowded memorial service, the ashes were interred near the burial plots of Purcell and Stanford in the north choir aisle of Westminster Abbey. Michael Kennedy characterises Vaughan Williams's music as a strongly individual blending of the modal harmonies familiar from folk‐song with the French influence of Ravel and Debussy. The basis of his work is melody, his rhythms, in Kennedy's view, being unsubtle at times. Vaughan Williams's music is often described as visionary;[n 11] Kennedy cites the masque Job and the Fifth and Ninth Symphonies. 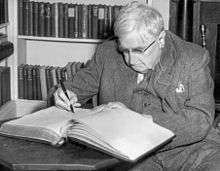 Vaughan Williams's output was prolific and wide ranging. For the voice he composed songs, operas, and choral works ranging from simpler pieces suitable for amateurs to demanding works for professional choruses. His comparatively few chamber works are not among his better known compositions. Some of his finest works elude conventional categorisation, such as the Serenade to Music (1938) for sixteen solo singers and orchestra; Flos Campi (1925) for solo viola, small orchestra, and small chorus; and his most important chamber work, in Howes's view—not purely instrumental but a song cycle—On Wenlock Edge (1909) with accompaniment for string quartet and piano. In 1955 the authors of The Record Guide, Edward Sackville-West and Desmond Shawe-Taylor, wrote that Vaughan Williams's music showed an exceptionally strong individual voice: Vaughan Williams's style is "not remarkable for grace or politeness or inventive colour", but expresses "a consistent vision in which thought and feeling and their equivalent images in music never fall below a certain high level of natural distinction". They commented that the composer's vision is expressed in two main contrasting moods: "the one contemplative and trance-like, the other pugnacious and sinister". The first mood, generally predominant in the composer's output, was more popular, as audiences, preferred "the stained-glass beauty of the Tallis Fantasia, the direct melodic appeal of the Serenade to Music, the pastoral poetry of The Lark Ascending, and the grave serenity of the Fifth Symphony". By contrast, as in the ferocity of the Fourth and Sixth Symphonies and the Concerto for Two Pianos: "in his grimmer moods Vaughan Williams can be as frightening as Sibelius and Bartók". The first three symphonies, to which Vaughan Williams assigned titles rather than numbers,[n 12] form a sub-group within the nine, having programmatic elements, absent from the later six. A Sea Symphony (1910), the only one of the series to include a part for full choir, differs from most earlier choral symphonies in that the choir sings in all the movements. The extent to which it is a true symphony has been debated; in a 2013 study, Alain Frogley describes it as a hybrid work, with elements of symphony, oratorio and cantata. Its sheer length—about eighty minutes—was unprecedented for an English symphonic work, and within its thoroughly tonal construction it contains harmonic dissonances that pre-echo the early works of Stravinsky which were soon to follow. The middle three symphonies are purely orchestral, and generally conventional in form, with sonata form (modified in places), specified home keys, and four-movement structure. The orchestral forces required are not large by the standards of the first half of the 20th century, although the Fourth calls for an augmented woodwind section and the Sixth includes a part for tenor saxophone. The Fourth Symphony (1935) astonished listeners with its striking dissonance, far removed from the prevailing quiet tone of the previous symphony. The composer firmly contradicted any notions that the work was programmatical in any respect, and Kennedy calls attempts to give the work "a meretricious programme [...] a poor compliment to its musical vitality and self-sufficiency". Grove lists more than thirty works by Vaughan Williams for orchestra or band over and above the symphonies. They include two of his most popular works—the Fantasia on a Theme by Thomas Tallis (1910, revised 1919), and The Lark Ascending, originally for violin and piano (1914); orchestrated 1920. Other works that survive in the repertoire in Britain are the Norfolk Rhapsody No 1 (1905–06), The Wasps, Aristophanic suite—particularly the overture (1909), the English Folk Song Suite (1923) and the Fantasia on Greensleeves (1934). Vaughan Williams wrote four concertos: for violin (1925), piano (1926), oboe (1944) and tuba (1954); another concertante piece is his Romance for harmonica, strings and piano (1951). None of these works have rivalled the popularity of the symphonies or the short orchestral works mentioned above. [n 16] Bartók was among the admirers of the Piano Concerto, written for and championed by Harriet Cohen, but it has remained, in the words of the critic Andrew Achenbach, a neglected masterpiece. By comparison with his output in other genres, Vaughan Williams's music for chamber ensembles and solo instruments forms a small part of his oeuvre. Grove lists twenty-four pieces under the heading "Chamber and instrumental"; three are early, unpublished works. Vaughan Williams, like most leading British 20th-century composers, was not drawn to the solo piano and wrote little for it. [n 17] From his mature years, there survive for standard chamber groupings two string quartets (1908–09, revised 1921; and 1943–44), a "phantasy" string quintet (1912), and a sonata for violin and piano (1954). The first quartet was written soon after Vaughan Williams's studies in Paris with Ravel, whose influence is strongly evident. [n 18] In 2002 the magazine Gramophone described the second quartet as a masterpiece that should be, but is not, part of the international chamber repertory. It is from the same period as the Sixth Symphony, and has something of that work's severity and anguish. The quintet (1912) was written two years after the success of the Tallis Fantasia, with which it has elements in common, both in terms of instrumental layout and the mood of rapt contemplation. The violin sonata has made little impact. Between the mid-1890s and the late 1950s Vaughan Williams set more than eighty poems for voice and piano accompaniment. The earliest to survive is "A Cradle Song", to Coleridge's words, from about 1894. The songs include many that have entered the repertory, such as "Whither Must I Wander" and "Linden Lea" (1902), "Silent Noon" (1904) and the song cycles Songs of Travel (1905 and 1907) and On Wenlock Edge. To Vaughan Williams the human voice was "the oldest and greatest of musical instruments". He described his early songs as "more or less simple and popular in character", and the musicologist Sophie Fuller describes this simplicity and popularity as consistent throughout his career. Many composers of the late 19th and early 20th centuries wrote sentimental works for female voice; by contrast, songs by Vaughan Williams's songs such as "The Vagabond" from Songs of Travel, to words by Robert Louis Stevenson, are "a particularly masculine breath of fresh air" (Fuller), "virile open-air verses" (Kennedy). Some of Vaughan Williams's later songs are less well known; Fuller singles out the cycle Three Poems by Walt Whitman, a largely dark work, as too often overlooked by singers and critics. For some of his songs the composer expands the accompaniment to include two or more string instruments in addition to the piano; they include On Wenlock Edge, and the Chaucer cycle Merciless Beauty (1921), judged by an anonymous contemporary critic as "surely among the best of modern English songs". Despite his agnosticism Vaughan Williams composed many works for church performance. His two best known hymn tunes, both from c. 1905, are "Down Ampney" to the words "Come Down, O Love Divine", and "Sine nomine" "For All the Saints". Grove lists a dozen more, composed between 1905 and 1935. The other church works include a Magnificat and Nunc Dimittis (1925), a Mass (1920–21) and a Te Deum (1928). 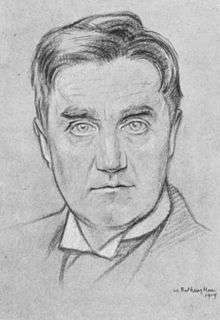 Vaughan Williams's choral works for concert performance include settings of both secular and religious words. The former include Toward the Unknown Region to words by Whitman (composed 1904–06), Five Tudor Portraits, words by John Skelton (1935), and the Shakespearean Serenade to Music (in its alternative version for chorus and orchestra, 1938). Choral pieces with religious words include the oratorio Sancta Civitas (1923–25) and the Christmas cantata Hodie (1954). In 1953 the composer said that of his choral works Sancta Civitas was his favourite. The Dona Nobis Pacem, an impassioned anti-war cantata (1936) is a combination of both, with words from Whitman and others juxtaposed with extracts from the Latin mass, anticipating a similar mixture of sacred and secular text in Britten's War Requiem twenty-five years later.Having been an ardent supporter and President of the City of Bath Bach Choir since its formation in 1946, on 1 July 1957 Dr Ralph Vaughan Williams conducted the choir for the first time; a concert dedicated to the composer featuring Fantasia on a Theme by Thomas Tallis, Sancta Civitas, Benedicite and The Old Hundredth Psalm Tune. On placing down his baton after conducting the latter piece “he smiled and said, thank you for a wonderful experience”.Later he went on to say, “It is a beautiful choir and I am deeply grateful. You could not have given me greater pleasure in my old age”. The only work that the composer designated as an opera is the comedy Sir John in Love (1924–28). It is based on Shakespeare's The Merry Wives of Windsor. Folk song is used, though more discreetly than in Hugh the Drover and the score is described by Saylor as "ravishingly tuneful". Although versions of the play had already been set by Nicolai, Verdi, and Holst, Vaughan Williams's is distinctive for its greater emphasis on the love music rather than on the robust comedy. In 1931, with the Leith Hill Festival in mind, the composer recast some of the music as a five-section cantata, In Windsor Forest, giving the public "the plums and no cake", as he put it. The Poisoned Kiss (1927–29, premiered in 1936) is a light comedy. Vaughan Williams knew the Savoy operas well, and his music for this piece was and is widely regarded as in the Sullivan vein. The words, by an inexperienced librettist, were judged to fall far short of Gilbert's standards. Saylor sums up the critical consensus that the work is something between "a frothy romantic comedy [and] a satirical fairy-tale", and not quite successful in either category. Job: A Masque for Dancing (1930) was the first-large scale ballet by a modern British composer. Vaughan Williams's liking for long tableaux, however disadvantageous in his operas, worked to successful effect in this ballet. 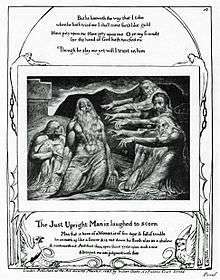 The work is inspired by William Blake's Illustrations of the Book of Job (1826). The score is divided into nine sections and an epilogue, presenting dance interpretations of some of Blake's engravings. The work, choreographed by Ninette de Valois, made a powerful impression at its early stagings, and has been revived by the Royal Ballet several times. 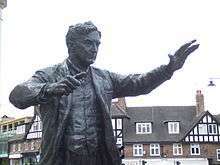 Kennedy ranks the score as "one of Vaughan Williams's mightiest achievements", and notes that it is familiar in concert programmes, having "the stature and cohesion of a symphony." In Kennedy's view the one-act Riders to the Sea (1925–31, premiered 1937) is artistically Vaughan Williams's most successful opera; Saylor names Sir John in Love for that distinction, but rates Riders to the Sea as one of the composer's finest works in any genre. It is an almost verbatim setting of J. M. Synge's 1902 play of the same name, depicting family tragedy in an Irish fishing village. Kennedy describes the score as "organized almost symphonically" with much of the thematic material developed from the brief prelude. 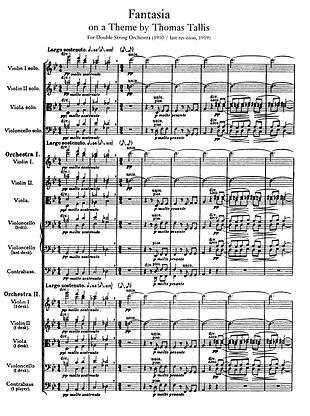 The orchestration is subtle, and foreshadows the ghostly finale of the Sixth Symphony; there are also pre-echoes of the Sinfonia antartica in the lamenting voices of the women and in the sound of the sea. The Bridal Day (1938–39) is a masque, to a scenario by Ursula, combining voice, mime and dance, first performed in 1953 on BBC television. Vaughan Williams later recast it a cantata, Epithalamion (1957). In 1994 a group of enthusiasts founded the Ralph Vaughan Williams Society, with the composer's widow as its president and Roy Douglas and Michael Kennedy as vice presidents. The society has sponsored and encouraged performances of the composer's works including complete symphony cycles and a Vaughan Williams opera festival. The society has promoted premieres of neglected works, and has its own record label, Albion Records. ↑ Vaughan Williams insisted on the traditional English pronunciation of his first name: "Rafe"; Ursula Vaughan Williams said that he was infuriated if people pronounced it in any other way. 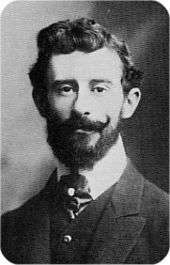 ↑ His siblings were Hervey (1869–1944) and Margaret (Meggie, 1870–1931). ↑ Margaret's father was Josiah Wedgwood III, grandson of the potter; he married his cousin, Caroline Darwin, niece of Charles Darwin. ↑ One of his aunts thought him a "hopelessly bad" musician, but recognised that "it will simply break his heart if he is told that he is too bad to hope to make anything of it." ↑ Vaughan Williams and Adeline had known each other since childhood. When they became engaged he wrote to his cousin Ralph Wedgwood, "for many years we have been great friends and for about the last three I have known my mind on the matter". 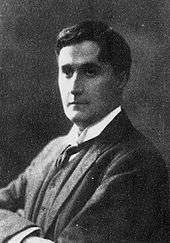 ↑ Vaughan Williams had studied under distinguished organists, and was given to boasting that he was the only pupil who had completely baffled Sir Walter Parratt, organist of St George's Chapel, Windsor and Master of the Queen's Music. ↑ The fantasia made less of an impression on some lesser-known critics: "G. H." in Musical News thought the work "of not much musical interest", and the unnamed reviewer in The Musical Times found it "over-long for concert use". ↑ His students included Ivor Gurney, Constant Lambert, Elizabeth Maconchy, Grace Williams and Gordon Jacob, the last of whom went on to work with his former teacher, transcribing the composer's barely-legible manuscripts and arranging existing pieces for new instrumental combinations. Later the composer's other regular helper was Roy Douglas, who worked with Vaughan Williams between 1947 and 1958 and wrote a memoir of working with him. ↑ Boult recalled that the symphony "brought many of us straight up against the spectacle of war, and the ghastly possibility of it. A prophet, like other great men, he foresaw the whole thing." ↑ There were no children of the marriage. ↑ The word is used repeatedly in discussions of Vaughan Williams by composers such as Herbert Howells, Anthony Payne, and Wilfrid Mellers, conductors including Sakari Oramo, and scholars such as Byron Adams, Kennedy, and Hugh Ottaway. ↑ Vaughan Williams did not assign numbers to any of his symphonies before No 8, but Nos 4–6 have generally been referred to by number nevertheless. ↑ This was in 1951, when the last three symphonies were yet to be written. ↑ Peter Warlock commented that the symphony was "like a cow looking over a gate", though he added, "but after all, it's a very great work." and Sir Hugh Allen said the work conjured up "VW rolling over and over in a ploughed field on a wet day". ↑ In 1956 the composer said in a letter to Michael Kennedy that the nearest that words could get to what he intended in the finale were Prospero's in The Tempest: "We are such stuff as dreams are made on, and our little life is rounded with a sleep." ↑ The 2015 concert listings section of the Ralph Vaughan Williams Society lists no performances of any of the concertos in Britain during the year, and, internationally, one performance of the Oboe Concerto (in Las Palmas) and one of the Piano Concerto (in Seattle). ↑ The composer and musical scholar Christopher Palmer includes Vaughan Williams in the list of major British composers, along with Elgar, Delius, Holst, Walton and Britten, who showed little interest in the solo piano and seldom wrote for it. ↑ Vaughan Williams was amused by the comment of a friend who correctly detected the French influence, but thought "I must have been having tea with Debussy." ↑ Applied by the composer to, respectively, On Christmas Night and The Bridal Day; The Poisoned Kiss, Riders to the Sea and The Pilgrim's Progress. ↑ The Ninth Symphony in what became the Decca complete cycle was recorded by Everest Records; the sessions took place on the morning after the composer's death. Decca licensed the recording from Everest for inclusion in a CD set of the nine symphonies in 2003. ↑ The British radio station Classic FM, which specialises in popular classics, conducted polls of its listeners in 2014 and 2015 in which The Lark Ascending was voted the most popular of all musical works, and the Tallis Fantasia was in the top three. ↑ Bath & Wilts Chronicle & Herald., Mon, July 3 1957. Cox, David (1967). "Ralph Vaughan Williams". In Simpson, Robert (ed). The Symphony: Elgar to the Present Day. Harmondsworth: Pelican Books. OCLC 221594461. Onderdonk, Julian (2013). "The composer and society: family, politics, nation". In Alain Frogley and Aidan Thomson. The Cambridge Companion to Vaughan Williams. Cambridge: Cambridge University Press. ISBN 978-0-521-19768-7. "Vaughan Williams material". BBC Radio 3 archives.